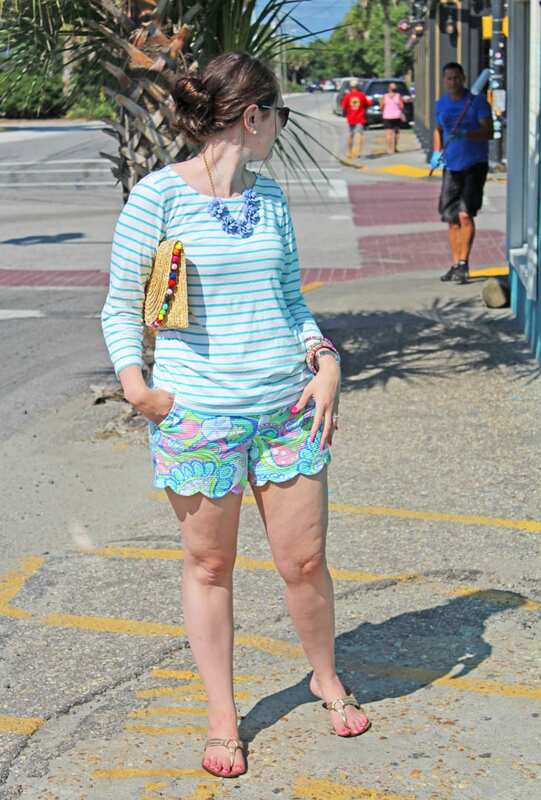 I’m finally posting the last outfit from our anniversary getaway to Folly Beach/Charleston, SC. We had such a fantastic trip, and these shots were taken on our last morning there before we headed home. 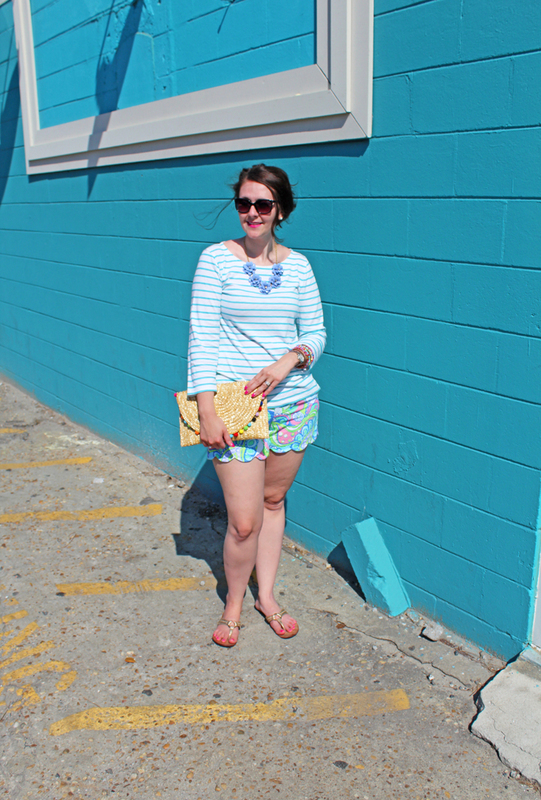 I always hate to leave the beach, but happy outfits and the promise of a return trip make leaving a little easier. 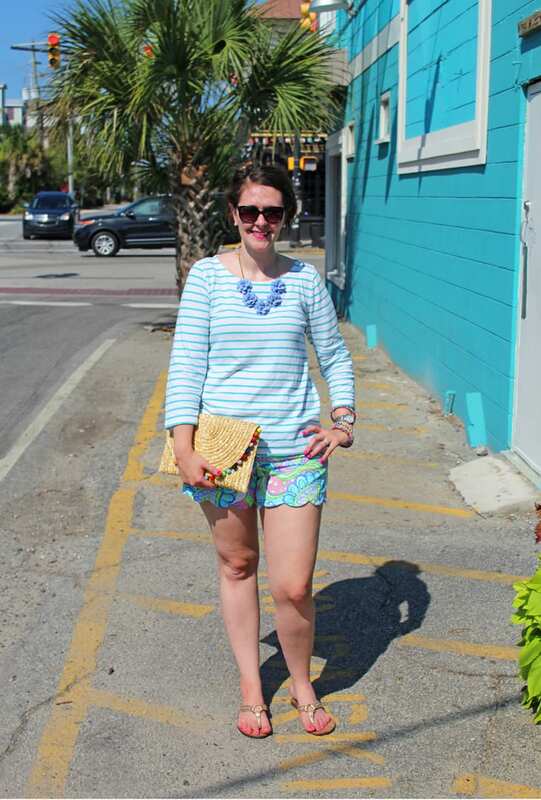 I love pairing two of my favorite brands together–Lilly Pulitzer and J. Crew. 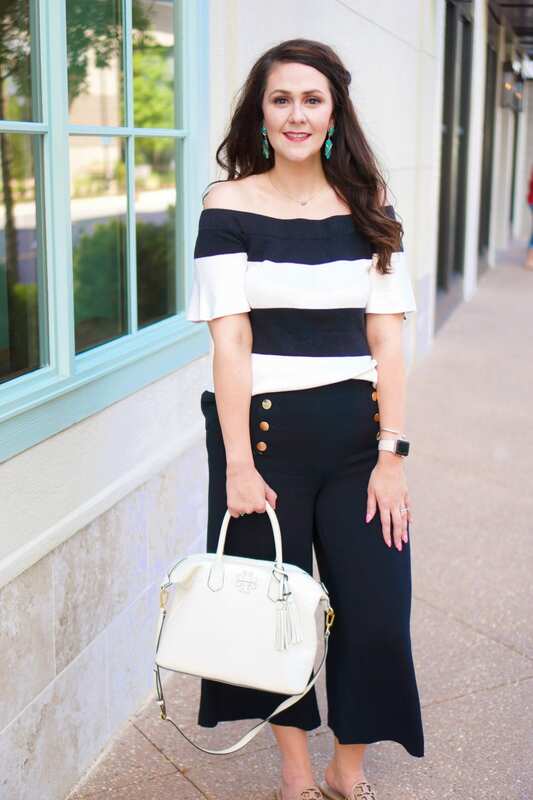 I find that the brands clothing tend to compliment each other, and go well together when creating a colorful but preppy outfit. Here, I paired a striped J. 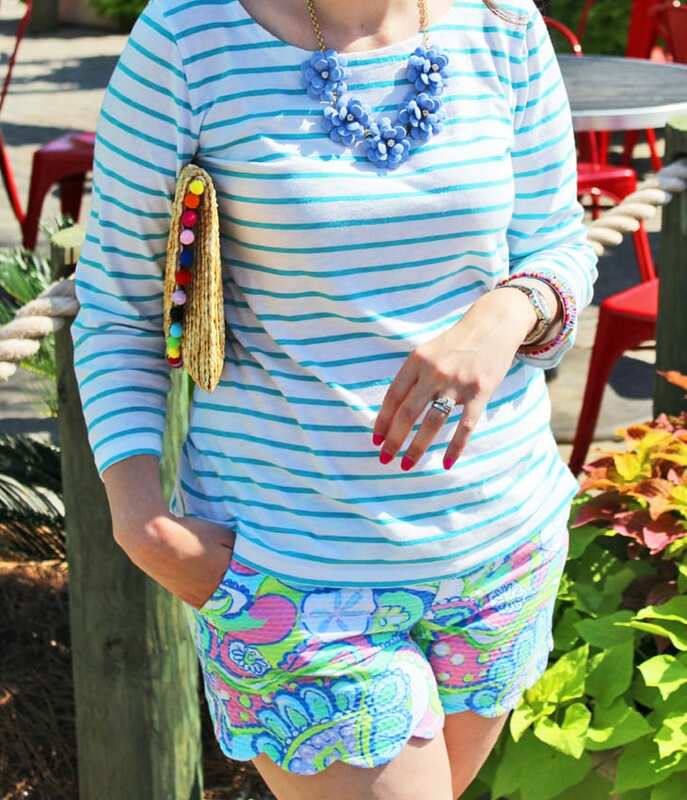 Crew tee with my Lilly buttercup shorts in Conch Republic. 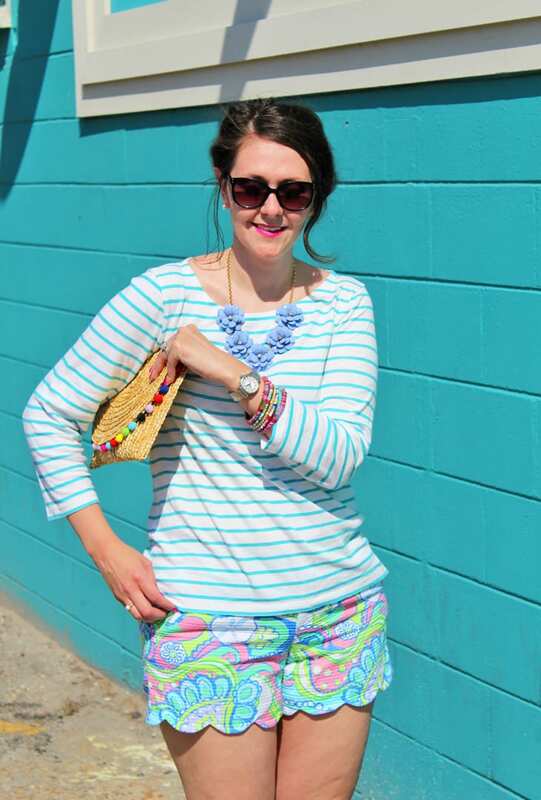 I like the contrast of the classic striped top with the fun Lilly print. 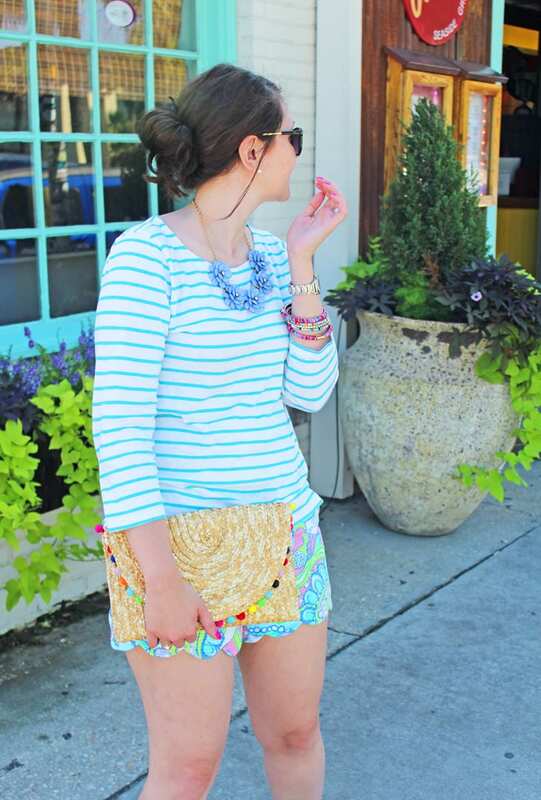 If you’re pattern-mixing, look for patterns with like color schemes. 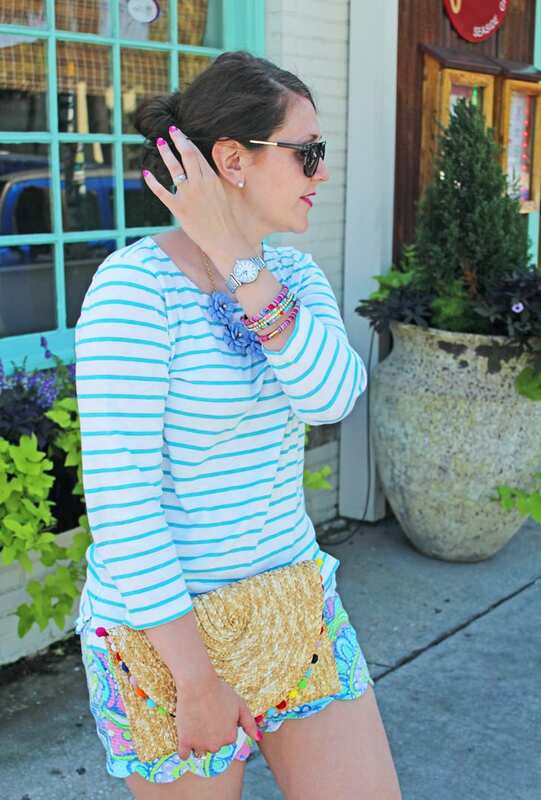 I kept my accessories colorful, which were set off my all the white in the top. The exception was my pearl earrings. They were actually an anniversary gift from Chauncey that he gave me on the trip:) My sandals are a little pricey, but the Lilly Pulitzer After Party Sale should be happening next week, and they usually are on sale for around $49. I’ve about worn this pair out, so I highly recommend them! And speaking of the APS, I’ll have a guide for shopping the sale up on the blog tomorrow. It can be tricky to score anything good if you’re not on top of your toes! While Lilly can be expensive, I usually only buy it during the APS or from thrift stores. 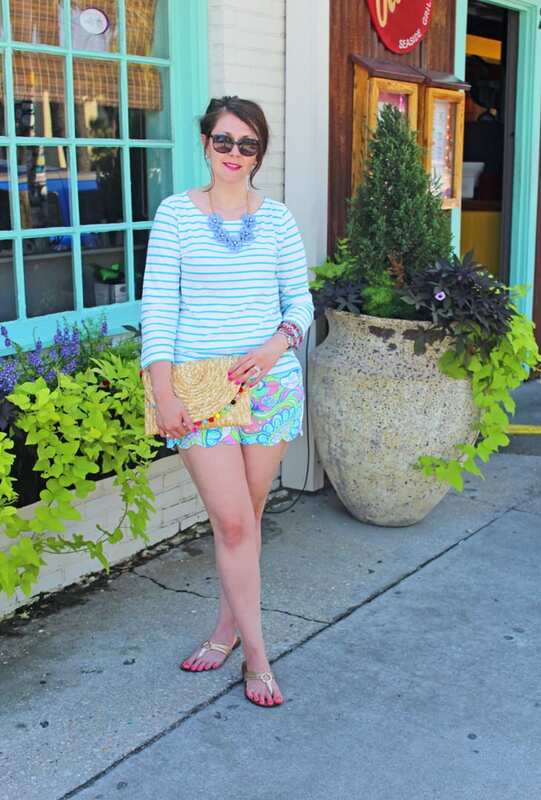 The buttercup shorts above actually came from Clothes Mentor in Lexington, which is my all-time favorite thrift store. I love getting my high-end items from there, and if you follow their Instagram, they ship! 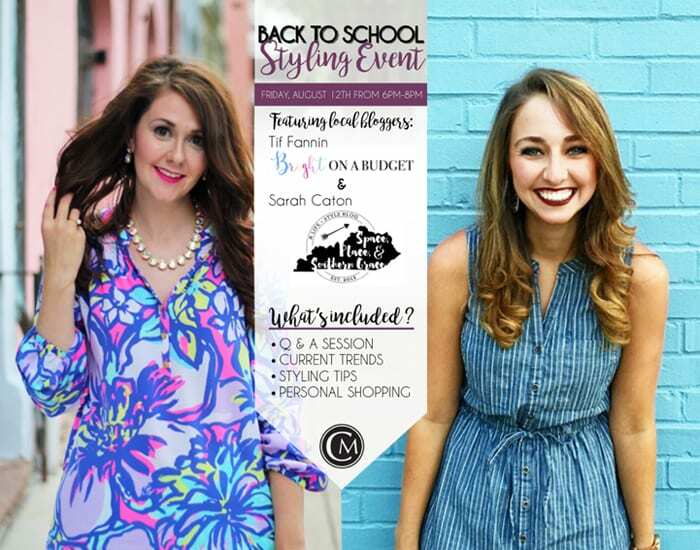 I will actually be hosting an event with Space, Place, and Southern Grace at Clothes Mentor in Lexington this Friday, August 12, from 6-8 p.m. We will be hosting a second event at Plato’s Closet, which is CM’s sister store on Sunday, August 14, from 6-8 p.m. If you live in the central Kentucky area, we hope to see you there!